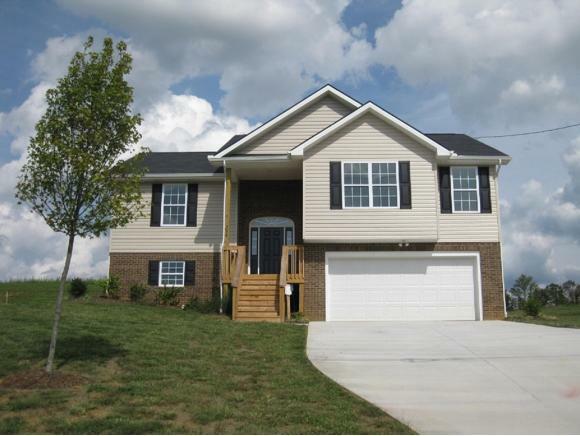 2241 Poplar Ridge Court, Piney Flats, TN 37686 (MLS #418865) :: Highlands Realty, Inc.
Orth Homes "Cascade" model is a great family home offering 3BR/3BA and over 2100 finished square feet! Upon entering, you will be immediately impressed by the HUGE living room. Spacious kitchen opens to dining area and features lots of cabinet space, granite counters, stainless appliances, and pantry. Master bedroom offers oversized walk-in closet and en suite bath with double vanity sinks. Two additional bedrooms as well as a 2nd full bath can also be found on the main level. Lower level provides family room, full bath, storage closet, and laundry room! Lower level is a great place for entertaining or a perfect rec room for kids! Additional features include 2 car garage and back deck. Huge lot to top it off! This home comes with a 1 Year Builder's Warranty providing the "Peace of Mind" that comes with buying a quality Orth Home. All information herein deemed reliable but subject to buyer's verification. PHOTO SIMILAR. Call listing office to schedule showing. Listing provided courtesy of Jordan Hodges of Realty Executives Johnson City.